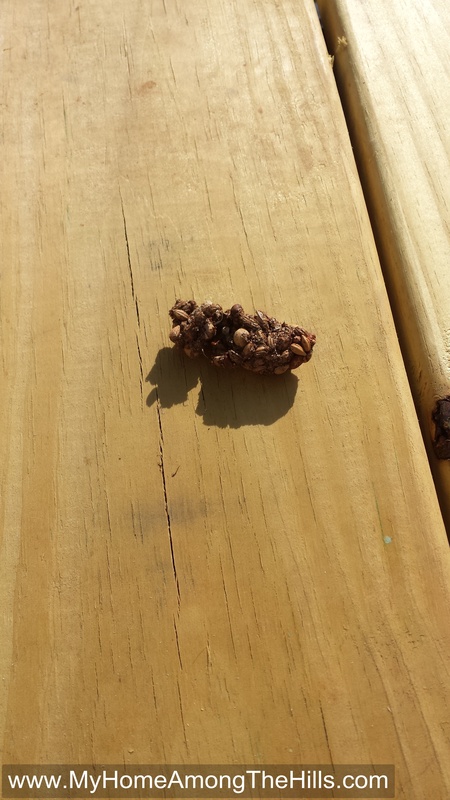 We have recently noticed, as we build the back deck on our cabin, there there seems to be a lot of extra…poop on the deck. 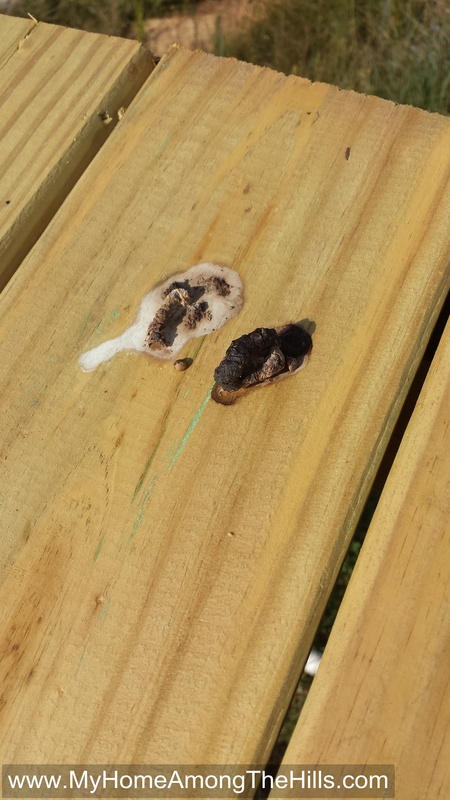 I guess it literally is a poop deck as the other decks do not seem to have as much. It’s the deck highest off of the ground so I figured this would be the domain of only birds. Sure, other critters can climb but I am not sure why they would climb just to take a poop (although, if my poop deck is becoming a “destination” in the wilds, maybe it would be worth the trip). Some of the evidence is very clearly from birds (apparently big birds), but some trophies seem like they might be from other sources. 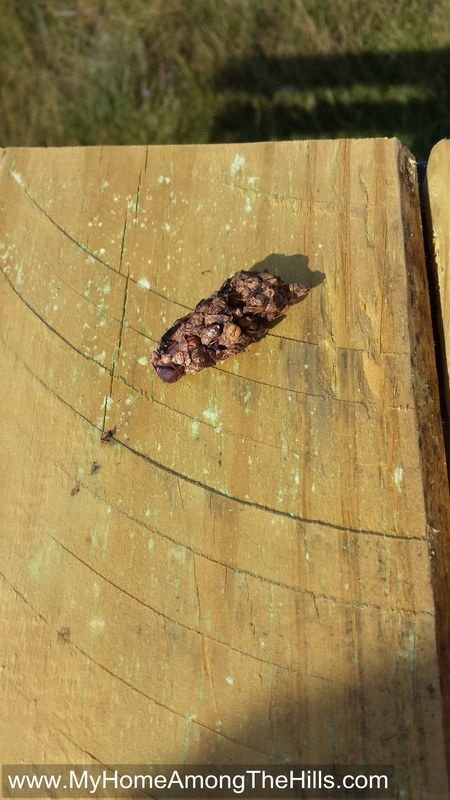 Dear friends, do you have thoughts on the source of some of these poops? Anyhow, the poop deck is nearly completed and I couldn’t be happier with that progress. 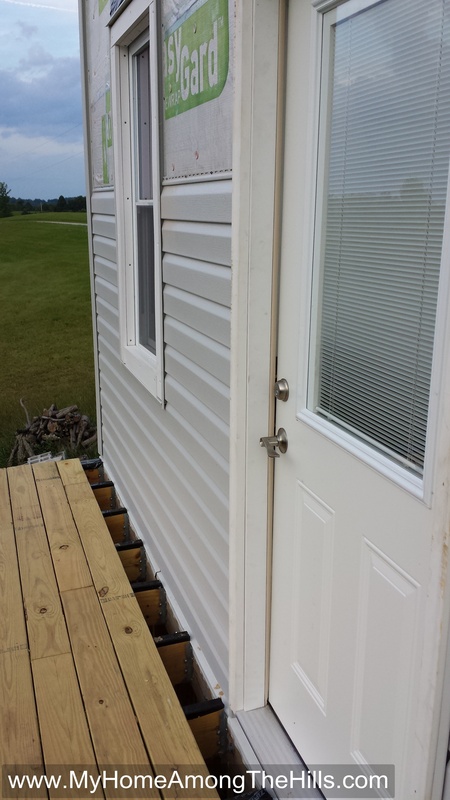 Additionally, we added a door that opens onto that deck which makes it doubly nice. We had always planned to add a door so it was already framed into the studding. I just had to cut a huge hole in the sheeting and install it. Once we get railings, it will be a really pleasant place to sit and watch for whatever creatures see the worth in taking a poop with a view!